There’s a bug somewhere with gnome-do‘s key binding set up interface. It wouldn’t let me set <Control>space as for the summons action (which I’ve used pretty much since the down of time, or at least as long as I’ve been using Quicksilver on Mac.) At first I thought it was a conflict with an existing short cut, but I couldn’t find anything mapped to that key combination. After some digging, I found you can edit (all?) of gnome-do’s config from gconf-editor. Just navigate to apps > gnome-do > preferences > Do > Interface > AbstractKeyBindingService > Summon_Do and type in the value <Control>space. The other stumbling block that was that you need to shut down gnome-do before the configuration changes from gconf-editor to stick. With that out of the way, now I can back to dialing in my fresh 14.04 install. Language specific block comments. Oh, yeah, that’s much better. 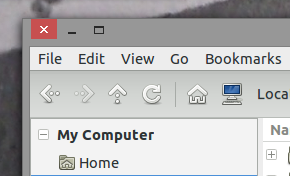 Running Win8 style window decorations on my Cinnamon desktop on Ubuntu. Flat is the new black. Upcoming Lego Mindstorms EV3 to include iOS support | TUAW – The Unofficial Apple Weblog. After noticing that my contact list in Pidgin was a lot shorter than usual, I figured out that I wasn’t connecting to Google Talk anymore. Connecting Adium to Google Talk with a 2-factor authentication account isn’t working – Super User.